We carry our phones with us everywhere so why not use your phone to help you lead a healthy lifestyle. 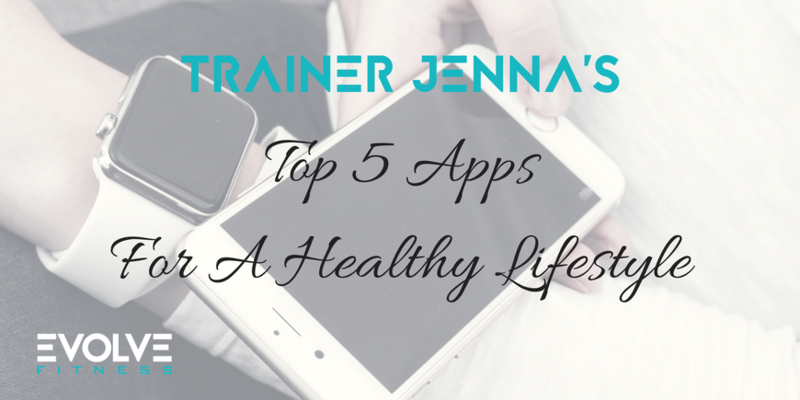 Here are Trainer Jenna’s top 5 favorite apps that I use that help me stay active, eat healthier and drink more water. Spotify is probably my most used app on my phone. 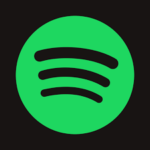 If you have never heard of Spotify, this app is a music streaming service. The basic version of the app is free but you can upgrade to Premium for unlimited music skips, no ads, and the ability to save music for $10 a month. I am constantly listening to music so I find the $10 a month fee well worth it. I have a wide range of playlists that I listen to on Spotify while working out at Evolve Fitness including 90’s Hip Hop, Today’s Hits, Rock, and everything in between. Spotify Premium is a must have for an outdoor runner. With Spotify Premium you have the capability to save music from the app. This means that while listening to music on a long outdoor run you will not be using data because the music is already downloaded. MyFitnessPal is the best app I have found for food journaling. I use this app to track calories and macros. When first setting up the app MyFitnessPal will ask you about your goals whether they be losing weight, gaining weight, or staying at your current weight. MyFitnessPal will then do all the calculations to decide how many calories a day to intake to meet those goals. The basic version of this app is free. There is a premium version that is $49.99 billed yearly. The premium version goes deeper into tracking macros, setting up goals, and has no ads. I personally have not felt the need to upgrade to premium, the basic version suffices for my goals. If you regularly participate in classes at Evolve Fitness chances are you have heard the term “tabata”. Tabata is a style of workout that entails a set time amount of exercise and then a set time of rest. The exercise and rest are repeated for a number of sets. For example one round of tabata may look like 30 seconds of jumping jacks with a 10 second rest 4 times. I enjoy doing tabata drills when I get tired of the monotony of basic sets and repetitions. 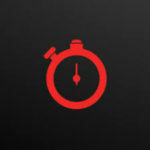 Tabata Stopwatch makes it easy to set up tabata drills and keep track of time and sets. This app is also free but comes with a premium version. The premium version includes no ads, and customizable announcements for a one time price of $11.99. This is a also an app that I have been satisfied with the basic version. 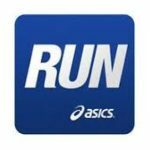 I enjoy using the Run, ASICS app when I run outdoors. This is a basic easy to use app that tracks distance and pace. This app has the option of setting up a program to train for a specific race such as a marathon, half-marathon, or 5k. This app is also free to download. 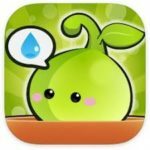 Plant Nanny is an app I just downloaded. This app is a fun way to track water intake. The app starts out by doing the math on how much water you need in a day according to weight and activity level. After this you choose a cute cartoon plant. As you drink water throughout the day you track it in the app to water your plant. If you do not drink enough water your cute cartoon plant will die. This is one app I enjoy having the push notifications turned on, so the app can remind me throughout the day to drink more water. This app is free with optional in app purchases.